The Aqua Pure AP-DW80/90 is a dual stage carbon block filtration cartridge set (including AP-DW80 & AP-DW90 filters). These filters reduce chlorine taste & odor, sediment, rust, lead, VOCs, cysts, and MTBE. 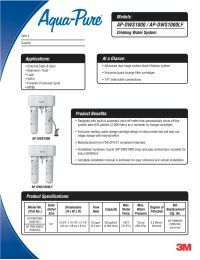 The Aqua Pure AP-DW80 & 90 filters feature an automatic shut-off meter that turns the system off after 625 gallons as a reminder to replace your cartridge, which helps protect your system. The Aqua Pure 55851-02 is a direct replacement for the AP-DWS1000 & AP-DWS1000LF drinking water systems. 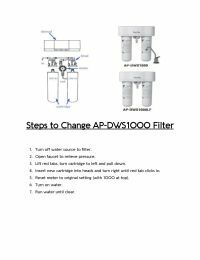 It is recommended to replace your Aqua Pure AP-DW80/90 replacement filters annually or when they reach capacity to ensure their ability to reduce water contaminants and maintain proper water flow rate. Made in the USA These filters and their components are proudly manufactured in the USA. NSF Certified This replacement filter set is certified to meet NSF Standards 42 & 53. This filter set is manufactured with FDA CFR-21 compliant materials. Contaminant Reduction. 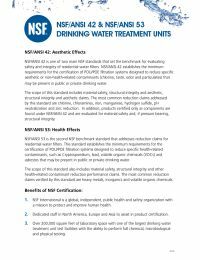 The AP-DW80 reduces sediment, chlorine taste & odor, lead, and cysts down to a 5 micron nominal rating. The AP-DW90 has a 1 micron nominal rating for its reduction of carbon block for VOC & MTBE. Filters are for cold water use only. Easy Installation & Replacement. Filters feature Sanitary Quick Change (SQC) cartridge design which provide fast and easy cartridge replacement. Replacing them with a simple twist-off action is very straightforward.